EXCITING BRAZILIAN JIU JISTU ACADEMY ON THE GOLD COAST, QUEENSLAND. COME ALONG AND RECIEVE AND GET YOUR FIRST INTRODUCTION CLASS FREE, COME AND BE APART OF THE GRACIE ELITE FAMILY! PROFESSOR FABIO GALEB, FIRST DEGREE BJJ BLACK BELT. Fabio is a head trainer to UFC fighters JAMES TEHUNA and training partner to the UFC, PRIDE AND K1 fighter MARK HUNT, training partner to UFC fighter MICHAEL BISPING. Prof is heading back to USA in June 12 to be a training partner for MICHAEL BISPING and his upcomming UFC fight. Fabio has 13 years BJJ experience, he also is a professional boxer and has had many professional MMA fights. All ages, genders are welcome to come and have your first introduction class FREE! 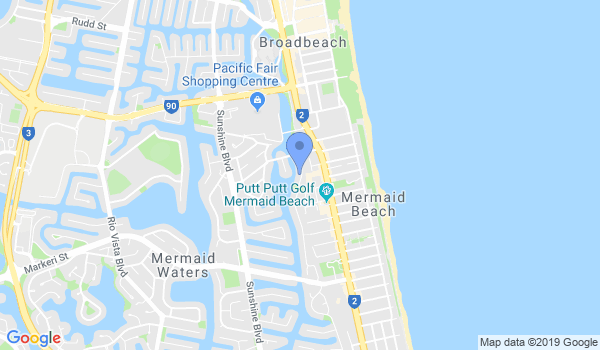 GRACIE ELITE GOLD COAST IS LOCATED 2/13 NORTHVIEW STREET MERMAID BEACH, QLD. See you on the mats !! Would you like more information on hours, classes and programs available at Gracie Elite Gold Coast? Please contact the school with your questions. Update the details, Write a Review or Report Error of Gracie Elite Gold Coast.